Dedicated by Ngāti Wai kaumātua, Lalli Haddon. Last century, after the valley was cleared of forest for farming, virulent subtropical rainforest returned on the north slope. 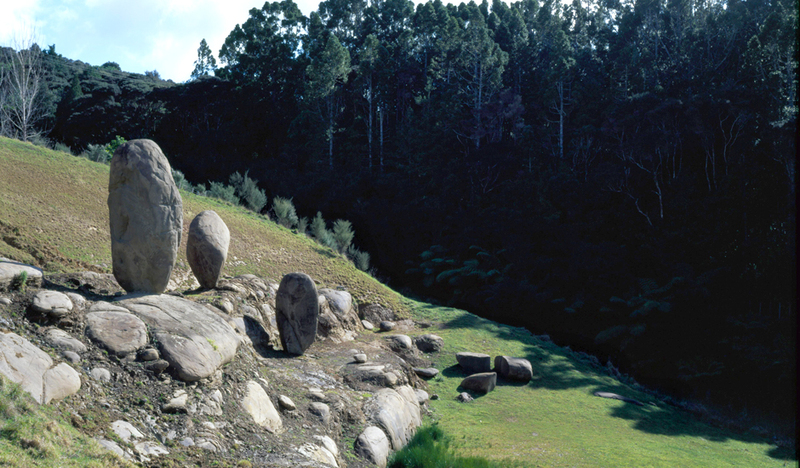 On the south side is a response I made with massive volcanic ash boulders recovered from road works nearby, the largest of which is 6m tall and weighs 30 tonne. Ancient sandstone bedrock was unearthed for their foundation.